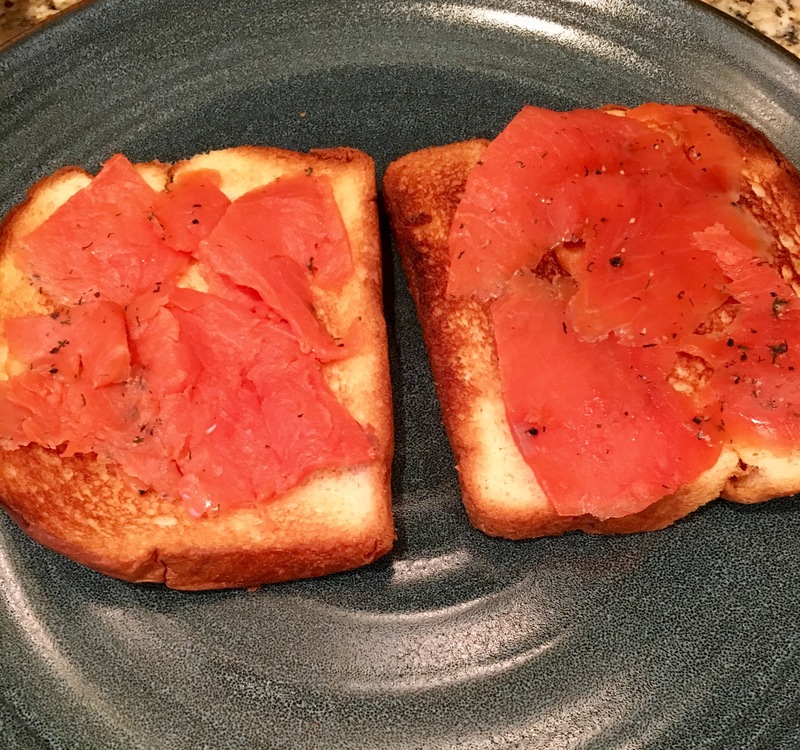 Quick Smoked Salmon Benedict (ish) – Eat, Drink, and Go! 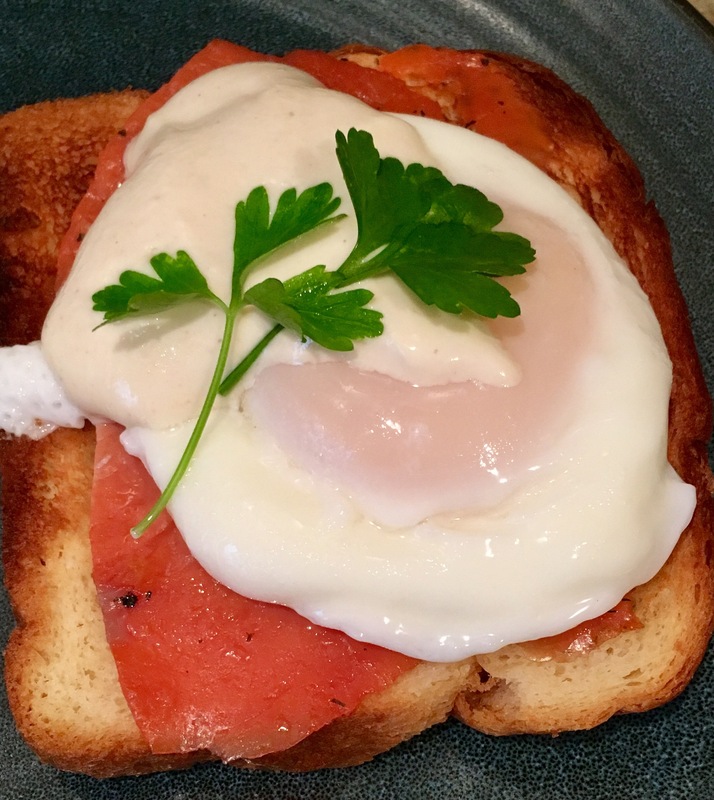 I’m not sure what technically makes an egg on toast kinda thing a “Benedict.” I call anything with a poached egg and some kind of protein on top of a bread-like vessel a Benedict. So here’s the one I made for breakfast when I had some smoked salmon I needed to use and some farm fresh eggs. I started with King Hawaiian bread and toasted it. This bread is so soft and sweet, it’s worth every carb. Then I placed a nice bed of smoked salmon on top. I’m sure there is a perfect way to poach eggs and this is not likely the one, but I was doing it rough and tumble style. I get about an inch of water to a simmer in a sautée pan and then crack the egg right into the water. 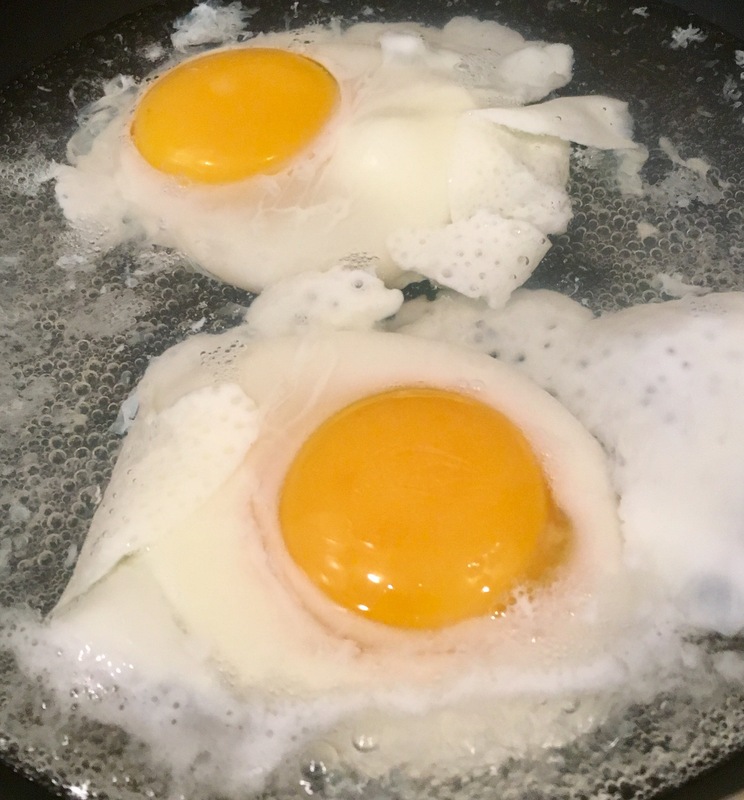 Then with a wooden spoon I gently fold the white edges in, being careful not to break the yolks. I splash the bubbling water atop the center repeatedly, but still gently, to cook the top. 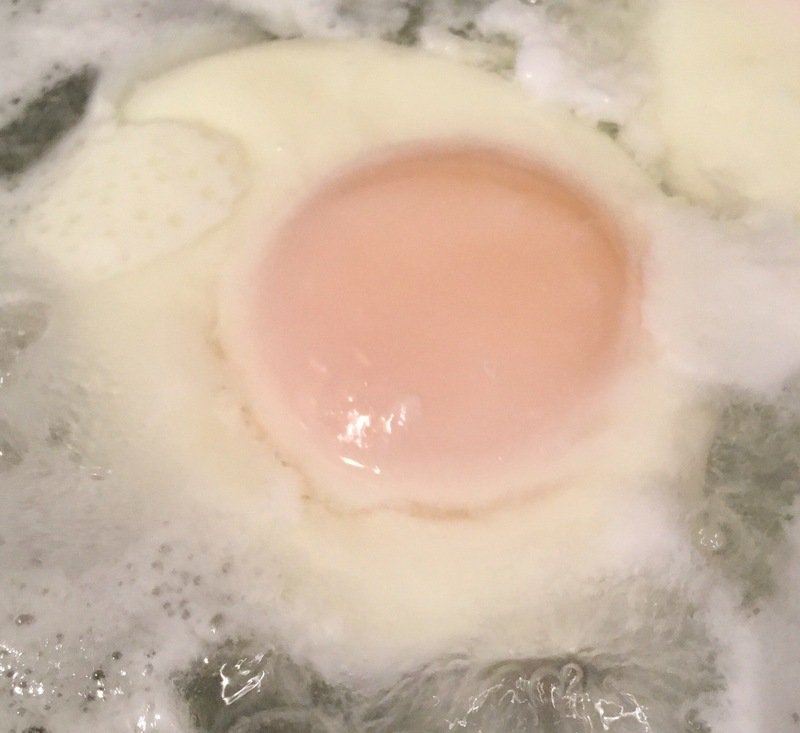 This leaves the middle runny, as is the standard for a poached egg. This is something that most restaurants definitely do better than me. I’ve spent the time getting it right before, but Monday morning after a lot of BBQ-ing and indulging, it just wasn’t happening. I swapped out the hollandaise for a Truffle mustard yogurt sauce. This sounds weird, I’m sure, but it was delicious!! I mixed a spoonful of a tangy Truffle mustard from Olivier into about three tablespoons of nonfat Greek yogurt. I spooned this on top and added a sprig of fresh parsley from the garden. Quick and delicious!! The garden is coming in nicely, by the way, with all this rain we’ve been having in Maryland!! The only positive. OMG – you had me at toasted kings hawaiian bread!! That sounds so delish and looks beautiful!